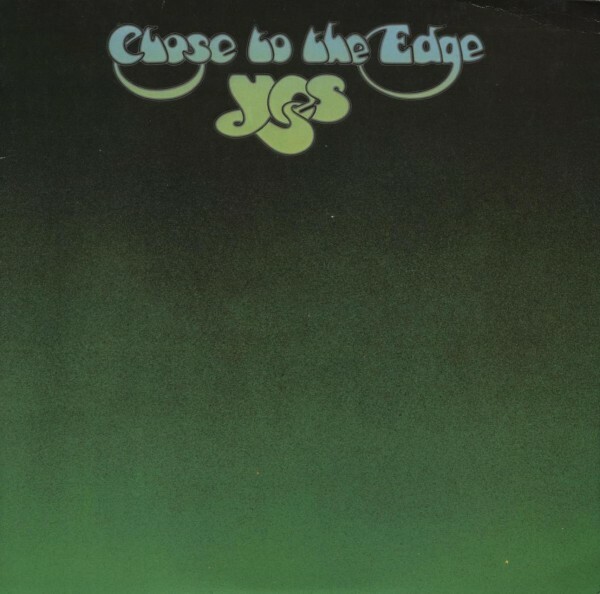 Ok, so, I was listening to the YES album Close to the Edge with my best friend Rick Ossian yesterday, and as is usually the case when we listen together, I started to contemplate its deeper meaning in a new way. In a 1996 interview, Jon Anderson mentions Herman Hesse’s Siddhartha as an inspiration for this album, so there is a stated philosophical source. Even taking that statement as true, we can see in the lyrical imagery an embrace of other traditions. Acknowledging one source of inspiration does not exclude the possibility of other literary groundings. I’ve long noted Platonic elements in the classic YES albums. One could say that they are usually close to the edge of a greater understanding. Their lyrics often puzzle us, and it may be valid to postulate that the lyrics sometimes serve as way of adding the vocals into the instrumentation as an element of the overall sound. That in itself is Platonic: seeing that the surface can be altered to serve a greater truth, that it need not be only a linguistic item. That said, it is also possible that the lyrics have an allegorical sophistication that works across other traditions. I will be arguing just this premise: that the lyrical content of Close to the Edge operates on an archetypal level, and that even if the inspiration is drawn from Hesse, YES uses framing and language from multiple traditions to connect to listeners. So, as I was listening with Plato in mind, and as I did so, I understood how it was that the Platonic elements were woven into this album. I had long suspected a Platonic basis, but yesterday, I looked at the lyrics and knew how I knew. Perhaps without meaning to do so (though there are certainly moments where it appears to be deliberate), YES incorporates imagery from the crucifixion narrative into the lyrics of this album. Those familiar elements serve as the nexus between the words and the Platonic underlay. I may never have noticed this if Rick and I had not sought to listen to this album and Analyze It to Life. I have long held that Calvary is the most profound literary moment in the Western tradition. There are numerous reasons for this, some of which I’ll discuss. I won’t be saying anything new about the crucifixion itself; in fact, this argument rests on the familiarity of the crucifixion narrative. The thrust of this analysis will be about the ways in which crucifixion imagery activates an archetypal approach to the album. I’m arguing that the Platonic and Christian elements (and even Hesse) are parts of the same basic inventory of archetypes. I’m not seeking any outside sources (for the moment, anyway). The album, the King James Bible, and Plato are my sources. I’m not sure if this has been argued elsewhere or not. An occasional nod to Siddhartha may be needed, but this analysis is devoted to elements heretofore not interrogated. It seems very likely that YES has consciously written in multiple viewpoints, though it is possible some of the archetypal elements may have been included unconsciously. Archetypes apply to everyone, and YES may have been governed by them just as the listener is. Whether or not they meant to activate the subconscious, YES has done so on this album. The lyrics include the words “crucified,” crucifixion,” “cross,” “preacher,” “teacher,” and “nail.” While the importance of the river can surely be tied to Siddhartha, the biblical implications of a river speak for themselves, and Lethe (the River or Forgetfulness) also plays a role at the end (the edge) of Plato’s Republic. In each instance, the river marks the edge of transformation or edification. There also appears to be a relatively clear expression of, in fact sometimes a recapitulation of, the chronology of the biblical narrative itself, and certainly the path to salvation that narrative offers plays a role in the thematic content of this album, for both individual believers and the savior who holds it. So, that chronology will surface as I explicate the references to the crucifixion narrative. Bear in mind that the purpose here is to reveal the album’s Platonic/archetypal underpinnings. The larger constructs of the actual and the ideal, the GOOD, and the glimpse are the archetypes that seem to rise to the top here, and the biblical imagery surely makes references to Siddhartha more easily apprehended for a Western listener as well. The biblical elements are the illocutionary force (suggestion) deployed in the lyrics; the archetypal elements are the perlocutionary force (perception) that makes this album the enduring masterwork that it is. Here beginneth the lyrical analysis. I’ll take one song at a time, in the order they occur on the album: “Close to the Edge,” “And You and I,” and “Siberian Kathru.” The order is important. This isn’t an exercise in cherry-picking; it’s an enterprise in analyzing it to life. As I mentioned, there seems to be an observance of the chronological order of the crucifixion narrative, and while that sequential similarity exists in more metaphorical ways across the album, it sustains remarkable fidelity in this song. Given the fact that this song constitutes nearly half of the entire album, it is fair to say that the sequential imperative persists into the remainder of the overall work. An important question, naturally, is “Where does that narrative begin?” Drawing from the order of the album, the narrative begins with Christ’s baptism by John the Baptist. In fact, the first two verses in the song evoke this. A seasoned witch could call you from the depths of your disgrace / And rearrange your liver to the solid mental grace / Achieve it all with music that came quickly from afar / Then taste the fruit of man recorded losing all against the hour. This begins both the story of the crucifixion narrative (because it foreshadows the eventual sacrifice on the cross required for the forgiveness John suggests Jesus brings) and the Platonic underlay (John is an imitation of Jesus, who is a tangible form of the Holy Spirit). In a masterful literary move, YES has initiated a multilayered allegory in four verses. S: And now look again, and see what will naturally follow if the prisoners are released and disabused of their error. At first, when any of them is liberated and compelled suddenly to stand up and turn his neck round and walk and look towards the light, he will suffer sharp pains; the glare will distress him, and he will be unable to see the realities of which in his former state he had seen the shadows; and then conceive someone saying to him, that what he saw before was an illusion, but that now, when he is approaching nearer to being and his eye is turned towards more real existence, he has a clearer vision, -what will be his reply? And you may further imagine that his instructor is pointing to the objects as they pass and requiring him to name them, -will he not be perplexed? Will he not fancy that the shadows which he formerly saw are truer than the objects which are now shown to him? S: And if he is compelled to look straight at the light, will he not have a pain in his eyes which will make him turn away to take and take in the objects of vision which he can see, and which he will conceive to be in reality clearer than the things which are now being shown to him? S: And suppose once more, that he is reluctantly dragged up a steep and rugged ascent, and held fast until he’s forced into the presence of the sun himself, is he not likely to be pained and irritated? When he approaches the light his eyes will be dazzled, and he will not be able to see anything at all of what are now called realities. G: Not all in a moment, he said. S: He will require to grow accustomed to the sight of the upper world. And first he will see the shadows best, next the reflections of men and other objects in the water, and then the objects themselves; then he will gaze upon the light of the moon and the stars and the spangled heaven; and he will see the sky and the stars by night better than the sun or the light of the sun by day? S: Last of he will be able to see the sun, and not mere reflections of him in the water, but he will see him in his own proper place, and not in another; and he will contemplate him as he is. YES captures this in the verse “A dewdrop can exalt us like the music of the sun.” We see the same idea expressed in Matthew 3:16: “And Jesus, when he was baptized, went up straightway out of the water: and, lo, the heavens were opened unto him, and he saw the Spirit of God descending like a dove, and lighting upon him,” or the heavenly body of the Moon here, the eclipsed moon, that is. After this is the reference to “crucified my hate,” which foreshadows Luke 23:34: “Then said Jesus, Father, forgive them; for they know not what they do. And they parted his raiment, and cast lots”: a stunning Platonic juxtaposition of the eternal truth of forgiveness with the temporal human incapacity to recognize the savior for his clothing, or as YES has it “you, the time, the logic or the reasons we don’t understand”: a basic summary of the Platonic argument quoted above. While these lyrics surely allude to Siddhartha, the also express the general principles of progressive illumination and serve as a reminder of the Platonic/archetypal foundation of the album: a direct rendering of the philosophical inspiration. 11 But Mary stood without at the sepulchre weeping: and as she wept, she stooped down, and looked into the sepulchre, 12 And seeth two angels in white sitting, the one at the head, and the other at the feet, where the body of Jesus had lain. 13 And they say unto her, Woman, why weepest thou? She saith unto them, Because they have taken away my Lord, and I know not where they have laid him. 14 And when she had thus said, she turned herself back, and saw Jesus standing, and knew not that it was Jesus. 15 Jesus saith unto her, Woman, why weepest thou? whom seekest thou? She, supposing him to be the gardener, saith unto him, Sir, if thou have borne him hence, tell me where thou hast laid him, and I will take him away. 16 Jesus saith unto her, Mary. She turned herself, and saith unto him, Rabboni; which is to say, Master. 17 Jesus saith unto her, Touch me not; for I am not yet ascended to my Father: but go to my brethren, and say unto them, I ascend unto my Father, and your Father; and to my God, and your God. 18 Mary Magdalene came and told the disciples that she had seen the Lord, and that he had spoken these things unto her. 19 Then the same day at evening, being the first day of the week, when the doors were shut where the disciples were assembled for fear of the Jews, came Jesus and stood in the midst, and saith unto them, Peace be unto you. 20 And when he had so said, he shewed unto them his hands and his side. Then were the disciples glad, when they saw the Lord. 21 Then said Jesus to them again, Peace be unto you: as my Father hath sent me, even so send I you. 22 And when he had said this, he breathed on them, and saith unto them, Receive ye the Holy Ghost: 23 Whose soever sins ye remit, they are remitted unto them; and whose soever sins ye retain, they are retained. 24 But Thomas, one of the twelve, called Didymus, was not with them when Jesus came. 25 The other disciples therefore said unto him, We have seen the Lord. But he said unto them, Except I shall see in his hands the print of the nails, and put my finger into the print of the nails, and thrust my hand into his side, I will not believe. 26 And after eight days again his disciples were within, and Thomas with them: then came Jesus, the doors being shut, and stood in the midst, and said, Peace be unto you. 27 Then saith he to Thomas, Reach hither thy finger, and behold my hands; and reach hither thy hand, and thrust it into my side: and be not faithless, but believing. 28 And Thomas answered and said unto him, My Lord and my God. 29 Jesus saith unto him, Thomas, because thou hast seen me, thou hast believed: blessed are they that have not seen, and yet have believed. 30 And many other signs truly did Jesus in the presence of his disciples, which are not written in this book: 31 But these are written, that ye might believe that Jesus is the Christ, the Son of God; and that believing ye might have life through his name. These lyrics nearly paraphrase the biblical account. The two million people elicits an image of the new faithful, the two hundred women symbolize the two angels, and the lady in white is the immaculately conceived Mary come to take away the body, her crucified domain, and “the man who showed his outstretched arm to space” represents the risen Jesus who instructs Mary and the disciples in how to sustain his legacy. This verse evokes Matthew 22:21 “They say unto him, Caesar‘s. Then saith he unto them, Render therefore unto Caesar the things which are Caesar‘s; and unto God the things that are God’s.” This verse rests among the parables, great lessons articulating the differences between the temporal and eternal. Indeed, this passage works on the Platonic level as well. Christ’s message is not one of rebellion. It is a message of higher understanding, and it is delivered in parables, much the same way Socrates (or even Gautama) would do so. The next applicable lyrics seem again to recapitulate the Christ’s baptism. Whether intentional or not, there seems to be an allegorical expression of Jesus as the preacher and John the Baptist as the “insane teacher.” Further, following from the hint of the Roman Empire’s role in the crucifixion and the subsequent replacement of that Empire with the Church, the lyrics quoted below seem to summarize the overall historical moment under examination. The “insane teacher” echoes the truth (“reminded of the rhyme”—temporal truth), the “sad preacher” suffers for that same truth (“nailed upon the colored door of time”—eternal truth) and the “political ends, as sad remains” collapse under the weight of the truth (“forward tastes”). The salvation motif continues in the next verses. Speaking in first person now, the seeker articulates an emotional crisis: “I listened hard, but could not see/ life tempo change out and inside me.” The then recalls the preacher and teacher, those before him who brought the message, he ultimately unites with them in achieving the goal “in the end, we’ll agree, we’ll accept, we’ll immortalize / that the truth of the man maturing in his eyes / all complete in the sight of seeds of life with you,” an expression of salvation in the Christian sense or of transmigration in the Platonic sense. Interestingly, the lyrics here step beyond a mere retelling of the Platonic or Christian narratives and postulate the ultimate goal of both, of perhaps all philosophy: living a better life. The key to living that better life comes from what Platonists call “the glimpse” or what Christians may call an epiphany. The only way to open the “colored door of time” is if your journey for truth takes you close to the edge. The final song, “Siberian Khatru,” holds the fewest direct connections to the narratives being examined here. In fact, the final song extends the expression of the goal explained above. In an idealized and compressed expression of the outcome, the lyrics of the final song create a space to unite the disparate traditions under a final archetypal umbrella. Thus, these seemingly disparate approaches to faith have reinterpreted the same basic truth and broken free of their oppressors, much as the Platonic tradition would advance a search for truth over an acceptance of immediate circumstances. Both traditions, as well as the obvious references to nature, Jesus, Protestantism, and probably Buddhism as well, have apprehended the truth beneath the truth, which is that truth is not a static object to be held and adored but a living practice to be embraced and interrogated. As John 8:32 has it, “And ye shall know the truth, and the truth shall make you free.” As Plato and YES (and Hesse) suggest, knowing the truth results from a profound and unremitting search for glimpses of a greater reality that may be seen if you are close to the edge. The resurgence of Black Sabbath following the success of their new album 13 presents an ironic success when compared with the more substantial legacy of their earlier work. Without the first five albums, metal as we now know it would not exist. And on one album in particular, Black Sabbath laid the groundwork for three subgenres — stoner metal, thrash metal and doom metal — such that future generations could pick up the hint and fully develop these new alloys of the raw metal that Black Sabbath forged forty years ago. But whichever direction you go, Master of Reality stands in the center. It is the first, and maybe the last, Black Sabbath album from the Ozzy-era (and perhaps from the entire canon) to purge extraneous elements and render a pure metal, so pure that other alloys — especially stoner metal, thrash metal, and doom metal –- would not exist without it. While seeds of different genres surely exist on the other four albums mentioned, I will be arguing that Master of Reality not only undergirds these three subgenres of heavy metal but may well be the finest classic Black Sabbath album. 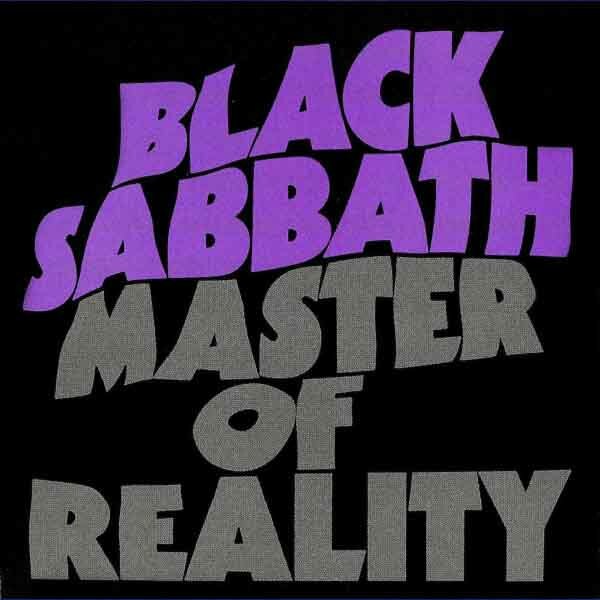 From start to finish, Master of Reality casts a dark, heavy, menacing, and philosophical spell on the listener. Perhaps “uncompromising” describes it best. As an artifact judged solely on its own composition and delivery, Master of Reality may be the first metal album conceived of as a metal album. While the first two Black Sabbath albums undeniably forge many elements of heavy metal, each deviates at certain points. Black Sabbath has numerous forays into jazz and blues. It’s heavy when it’s heavy, but an almost exploratory vibe pervades about one-third of the album. Paranoid, while certainly heavier overall and much more consistent than Black Sabbath, retains blues and jazz elements that do not appear on Master of Reality. The first two albums stand as classics of the genre, and valid arguments for their status as primordial metal albums absolutely exist. However, the unity and purposefulness of Master of Reality indicate that these albums were like drafts of an essay, brimming with good ideas and clever phrases but ultimately collections of elements rather than unified wholes. Master of Reality starts heavy, grows heavier, and finishes heaviest. As the analysis below will demonstrate, the thematic consistency of this album far exceeds that of its predecessors. The lyrical expression of the themes reflects a deeper and more reasoned understanding of the issues involved. Musically, the songs are tighter and more direct. While the free-form jams of the first two albums are quite interesting and in my opinion as good as anything of the era, they reflect yet again a collection of elements. Master of Reality offers much more stylistic consistency, indicating a more holistic approach to the project. The opening track, “Sweet Leaf” stands as a blueprint for stoner metal. The lyrics celebrate marijuana as a window to another dimension only the enlightened perceive: “Straight people don’t know what you’re about / They put you down and shut you out / You gave to me a new belief / And soon the world will love you sweet leaf.” The plodding riff that dominates the song permeates the descendant genre. Then the break from around 2:35-3:25 shifts into a proto-thrash mode (especially evident in Bill Ward’s drumming) that will show up again and again on this record. The song concludes with the stoner plodding that begins it. “After Forever” and “Children of the Grave” carry the proto-thrash elements to the next level. While many critics have begun to agree that “Symptom of the Universe” off Sabotage inaugurates proto-thrash, one hearing of Master of Reality should be adequate evidence that the thrash style was being perfected, not invented, by the time “Symptom” was pressed into vinyl. Taking on religion (and ironically deciding in its favor, saying “They should realize before they criticize / That God is the only way to love”), the shouted lyrics of “After Forever” offer a direct exploration of the question of the soul versus the institutionalized mechanisms that supposedly provide for its sustenance. Both of these themes persist into thrash metal. The up-tempo opening and subsequent power chord extravaganza stand as a stark contrast with the opening track. “Children of the Grave” is pure thrash. Again featuring a shouted vocal, the song amplifies lyrics that challenge war and societal manipulation with verses like “Show the world that love is still alive you must be brave / Or your children of today are children of the grave.” The lyrics of this song presage two of the most prominent themes in thrash metal. Like “Paranoid” before it, “Children of the Grave” chugs forward, adding sustained chord progressions above it. The break from 2:10-2:20 proves itself worthy thrash to this day. Bill Ward’s work heralds the prominence of drums in thrash. Taken together, these two songs form the blueprint for thrash metal. “Lord of this World,” “Solitude,” and “Into the Void” constitute a “doom suite.” As Osbourne’s plaintive wail pierces our eardrums, evil, demonic possession, psychological instability, and societal collapse penetrate our consciousness like a needle pushing a drug under the skin. The lyrics reflect a pessimism only hinted at in the preceding songs. The song titles themselves indicate a doom ethos. Try to imagine a darker or doomier final song than “Into the Void.” With the exception of a break in “Into the Void,” the tempos, riffs, and rhythms slow to a sometimes mechanistic, sometimes mournful, sometimes throbbing, always menacing procession of deliberate despair. The churning “Lord of this World” offers a view of demonic influence based not on Satan’s assiduity but human apathy: “You made me master of the world where you exist / The soul I took from you was not even missed.” The naysayers vilified in “After Forever” have won, and the dim hope that “God is the only way to love” offered in “After Forever” is snuffed out like a candle after a mass. “Solitude,” a slower, softer song expresses the ennui of a person suffering from self-directed pessimism. Ostensibly about a woman, the lyrics also sustain an interpretation of addiction or perhaps depression: “Crying and thinking is all that I do / Memories I have remind me of you.” The theme of hopelessness would become a staple of doom metal. “Into the Void” comprises interesting movements and perhaps one of the best introductory and main body riffs in all of Black Sabbath. The theme of contradictory practices, probably based on the co-occurrence of the Apollo missions and the Vietnam War, ultimately rests on the fact that hope is an illusion and the only peace that exists comes from journeying into the void — not on a rocket ship but in a grave on a planet “left to Satan and his slaves.” Again, the hope expressed in “After Forever” falls to the psychological manipulation of the children of the grave. The thematic consistency across the album is summarized and re-presented as a void that ultimately becomes the only option: a dark, heavy, menacing, and philosophical elaboration of the pessimism that will come to characterize heavy metal. Master of Reality presents an overall coherence and depth reflective of a band that has realized its vision. Working out the details during the production of their first two records, Black Sabbath tempered that vision with experience. The musical, lyrical, and thematic sophistication of this album leads to an even heavier sound than had existed before. While it may be that down-tuning contributed to a darker sound, the beauty of this album emerges not from lower notes but from higher understanding. Some may suggest that Vol. 4 goes the next step further, but I would argue that it is the first step down-less consistent, less profound (although of Vol. 4 possesses a rather remarkable lyrical finesse). Sabbath Bloody Sabbath seems in the main a different enterprise than the first four albums (though it does elaborate some of the elements started on Vol. 4.) Some may suggest that Black Sabbath was an almost miraculous first outing, therefore making it best. I would agree that it laid the foundation for the genre but lacks the unity and purpose of Master of Reality, which is the album that confirmed the genre. Some may suggest the commercial success and exposure of Paranoid makes it the best expression of Black Sabbath’s ethos. Paranoid ranks as one of the greatest albums in the Sabbath canon, and many arguments could be made about the songs on Paranoid being their best work. But this analysis seeks to determine the best album. And Paranoid lacks the lyrical, thematic, and musical consistency of Master of Reality. In fact, from my perspective this level of excellence does not reappear until Heaven and Hell. But that album resulted from a new line-up and a new vision. In the end, I have to choose Master of Reality over Heaven and Hell. A true testament to the importance of this album appears in the track list for 1997’s live collection Reunion. If we accept the postulate that Black Sabbath intended this collection to be a compendium representing the legacy of the Ozzy era as it stood at that time, the importance of Master of Reality becomes clear. Only four songs from the final five albums of the era are included. Only three are chosen from the eponymous first album. That leaves five songs each from Paranoid and Master of Reality (I’ll concede that “Orchid” is less important than any of the songs from Paranoid, yet there it is). With many fine tunes available from the final five albums, Black Sabbath included two-thirds of Master of Reality (four of six full-length songs). Surely they would not have featured so much of this album (and so little of the final five) if they did not want it to represent their legacy. At the very least, Master of Reality caps the most important three-album sequence in the history of heavy metal. Although the first two albums present fierce, fatalistic, and fear-laden songs, songs with symphonic sensibilities and fusion-based energy, Master of Reality far exceeds both of them as a holistic project. The musical consistency and thematic pessimism of this album refines the ethos and aesthetic of the first two albums into a tighter work of art, at once more controlled and more innovative, perhaps because of the greater degree of precision and planning. Further, the variety of styles and increasing darkness of the themes and lyrics as the album progresses create the design signatures for the stoner, thrash, and doom metal of today, making it more influential than a cursory understanding would indicate. As a result Master of Reality reigns as the finest Black Sabbath album.